What are the Information Lifecycle Management phases? 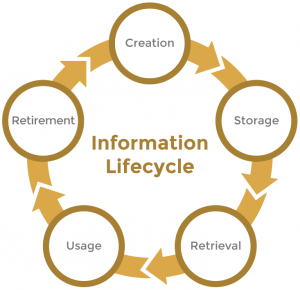 Information, like the business, goes through various phases in its lifecycle. Since information is required at every stage of the business, on a daily basis, it becomes imperative to understand each phase of the database lifecycle. Data enters the business through data capture. It could be data that are acquired from reliable outside resources, data entry and data reception. A business can collect data from various external sources for research and analysis. This information is used for comparisons and for predictions. The data generated by the business has to be input diligently to be processed by the ERP or Business Intelligence Software. Typically, large volumes of information are generated by the organization on a daily basis in various forms. Information also comes from various devices, such as mobile phones and IoT enabled devices. IoT Technology is an outstanding source of reliable data for businesses. Every business has its own ways of capturing information. It determines the information that needs to be captured and then determines the methods in which it can be accomplished. The banking sector inputs the information and also pulls it from devices such as smartphones, POS swiping machines, ATMs etc. The telecom sector collects user information from its networks. In Governance, a lot of information is collected from outside resources apart from those being input at the offices. The data that’s captured by the business needs to be stored diligently. It is quite challenging to store the varied types of bulk information or Big Data that the business acquires, generates and receives from devices all have to be preserved to be used later for processing and publishing. Data should be ideally stored in a categorized way for easier access. Where and how data is being preserved is important as it determines the accessibility and time to access. Data can be stored in tiers or in parallel servers to provide faster access. Once the data is stored, it can then be grouped to ease access. Where data is stored, it has to be secured. Data security is one of the most important features to consider from this phase onwards until it is discarded. Security and privacy of information are essential for businesses to succeed and sustain. Particularly in the banking, healthcare, telecom, and governance sectors, data security is utmost important. Data synthesis or grouping data is a comparatively new phase in information lifecycle management. Grouping data lets you quick access to compiled information such as totals, average, means etc. Many important metrics are formed and stored as group information which makes further analysis and processing much easier and faster. Grouping data is essential when dealing with large volumes of information. When you have businesses in multiple locations that generate bulk information on a daily basis, it becomes very difficult for the Head office to handle all this bulk information. For example, take the telecom, banking, insurance, retail chains and governance sectors. There’s always bulk data that’s generated which is grouped at the end of the day or periodically for convenience. Data that are collected, categorized, stored and grouped are used to process it to make it useful. The employee attendance data that are collected on a daily basis is used to process payroll. The call details for every customer in the telecom field is used to analyse the usage and to form better marketing strategies. 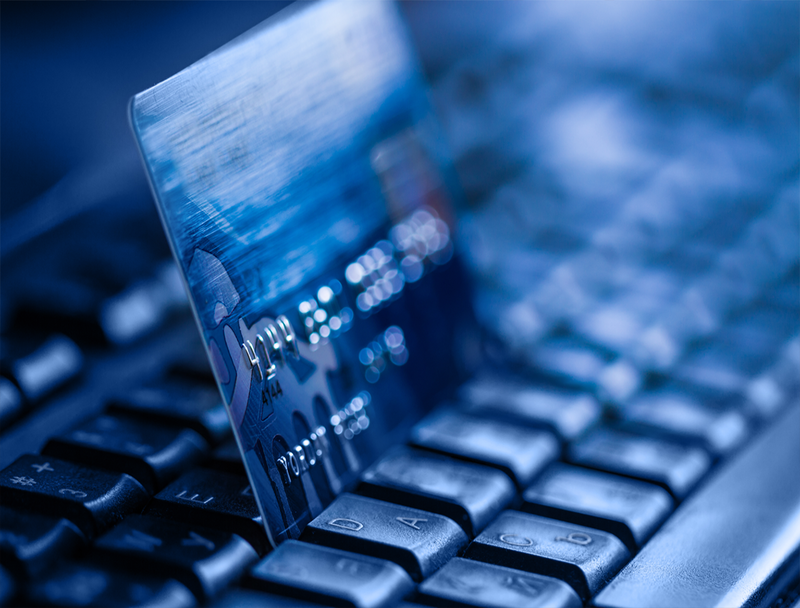 The banking industry uses the transaction data and processes it regularly to understand the transaction patterns and to track the money flow. Many advanced technologies such as Artificial Intelligence, Business Intelligence, Enterprise Resource Processing, Intelligent Automation, Robotics Process Automation, Machine Learning, Virtual Reality, Artificial Reality etc are used to process information depending upon the business requirements. Sometimes, the simplest form of processing such as document management system or database systems also help processing information. Many businesses use legacy software for data processing. The information that’s collected, stored, grouped and processed is used for publishing as reports to management and public. Every business publishes its information to its stakeholders including employees, vendors, and investors. The financial stability, external communication, and other details are published on various mediums to reach the right audience at regular intervals. Many tools are used by businesses for publishing and reporting information. Data sharing is also a part of publishing as the aim of publishing data is to make it available for the intended audience. Businesses publishing the financial statements, offering market insights etc are popular forms of data publishing that we see on a daily basis. Data archival is another important aspect of information lifecycle management. When there’s bulk information being handled on a daily basis or regularly, it makes storage and processing highly expensive. It slows down data processing and publishing. To counter this, data is regularly checked and archived. Archiving is done by creating data subsets. Every set of information archived is represented by its subset. Archiving stores the information that’s not immediately used separately from the active data storage environment. This makes the active data directory more space and makes processing much faster as lesser information is involved in processing. Data archiving makes data storage and retrieval more efficient. Data has to be periodically checked and removed when obsolete. Certain classified information has to be immediately removed from the main data storage and stored secured in a separate environment specially maintained for that. Data tends to get obsolete over time. Such obsolete data becomes an overhead to data storage and processing and hence is carefully sorted and removed periodically from the data server. Data entering the business and leaving it may happen over many months or years. Sometimes, a part of the old information is grouped and stored and the base information is removed. This makes sure that the consolidated information is used where required. Data goes through a range of transformations during its lifecycle in every business. Even though the phases may be named differently, business information lifecycle management is essential for the business to make the most of the information it captures and generates. At BBI, we give special attention to your information with our top leading Data Management technology partners like Informatica and IBM.